This is a departmental promotion. Qualified applicants must currently be employed with the San Joaquin County Probation Department and meet the promotional eligibility requirements as stated in Civil Service Rule 10, Section 3-Eligibility for Promotional Examinations. This examination is being given to fill vacancies in the Probation Department and to establish an eligible list to fill future vacancies. Please be advised that Human Resources will be accepting only online applications for this recruitment. Resumes and paper applications will not be accepted in lieu of an online application. A completed application must be received online by the final filing deadline. Provides specialized and complex information, including specific program-related information, to managers, patients, clients, outside agencies and others; researches difficult and complex issues; completes complex forms for the purpose of documenting specialized program-related information; searches for, receives and explains complex rules, regulations, policies, procedures and technical office operations; interprets and applies external laws, regulations, ordinances and policies as they relate to clerical/technical/financial functions; may issue complex documents; provides customer service in a calm, helpful and effective manner. Gathers, processes and maintains specialized and complex information related to departmental operations; asks in-depth questions of patients, clients, and others; identifies customer needs and seeks to match those needs with program services; codes, files and retrieves documents and records using various alphabetical, numerical, coded and computerized filing systems. Researches, compiles, maintains and processes statistical, financial and/or other numerical data to support specialized office functions; coordinates and/or performs routine work related to personnel, payroll, budgetary, purchasing, inventory, and/or other administrative functions; performs complex accounts payable/receivable and billing procedures, applying advanced knowledge of technical program requirements; maintains ledgers and accounts; enters data into worksheets; matches invoices with orders, reviewing and verifying for completeness, accuracy, and appropriateness as assigned; computes, collects and receipts monies and fees, including large sums; adjusts accounts within limits of authority; may develop and maintain spreadsheets and databases, either by hand or computer; maintains data and develops reports for budget purposes. Performs clerical/technical/financial case management, applying advanced knowledge of administrative, legal, financial and/or program-related requirements; researches, reviews, and resolves complex case issues; determines, maintains and tracks case information and status; identifies needed documents and/or actions; contacts and meets with clients, victims, parolees, patients and others to obtain forms/documents, arrange payments/services and help them meet obligations; may advocate on behalf of clients within limits of authority; coordinates case activities with managers, professional staff, and/or other work units as appropriate. Prepares a variety of difficult reports and documents requiring advanced knowledge of specialized subject matter including, but not limited to court orders, petitions, subpoenas, insurance claims, treatment authorization forms; reviews complex legal, custody, health care and other records to identify needed information; applies complex codes and requirements for reimbursement and other purposes. May perform secretarial duties for various staff including supervisors and/or professional staff; may supervise a very small number of clerical workers as an incidental duty; may train or review the work of others; may serve as a lead worker over a large group of office clerical/technical staff. PLEASE NOTE: This is a departmental promotion.  Qualified applicants must currently be employed with the San Joaquin County Probation Department and meet the promotional eligibility requirements as stated in Civil Service Rule 10, Section 3-Eligibility for Promotional Examinations. Experience: One year of work at a level equal to or higher than Senior Office Assistant in San Joaquin County service. Experience: Three years of general clerical, secretarial and/or office technical work, including at least one year functioning at a full-journey level. Substitutions: a) One year of business training in an approved vocational training program may substitute for one year of the above-required experience; or b) Completion of 30 semester/45 quarter credit units at an accredited college or university may substitute for one year of the above-required experience. Certificates: If required by the nature of the assignment: 1) possession of an acceptable typing/keyboarding or other certification of ability to input data at the rate of 45 words per minute; and/or 2) possession of an acceptable proficiency certificate in one or more computer software programs. Special Requirement: Most positions require the ability to use computers and/or word processing equipment. If required by the nature of the assignment, demonstrated general or software-specific computer proficiency may be required prior to appointment. Advanced office practices and procedures; standard clerical accounting methods and practices; principles of planning and organizing work; methods of researching, gathering, organizing and reporting data; personal computer systems and general office computer software; public relations techniques; advanced interviewing techniques; advanced filing and record keeping systems; complex correspondence and report formats; arithmetical operations related to advanced clerical/technical/financial processes; basic principles of training and supervision; advanced cash handling procedures. Research, interpret and apply complex laws/regulations, court orders, program policies/procedures, and third-party rules/requirements related to specialized clerical activities; evaluate and establish priorities; gather, organize, input and maintain complex information, including financial or program-specific data; provide/obtain detailed information to/from others, even in difficult situations; utilize advanced office procedures and equipment; follow complex oral and written procedures and directions; establish and maintain effective working relationships with others; communicate effectively with others; write clearly and legibly; perform advanced arithmetical operations; lead or supervise others. Mobility-Frequent operation of a data entry device, repetitive motion, sitting for long periods, walking; occasional standing, pushing, pulling, bending, squatting, climbing; Lifting-Frequently 5 pounds or less; occasionally 5 to 30 pounds; Visual-Constant good overall vision and reading/close-up work; frequent color perception and use of eye/hand coordination; occasional use of depth perception and peripheral vision; Hearing/Talking-Frequent hearing of normal speech, hearing/talking on the telephone, talking in person; Emotional/Psychological-Frequent decision making, concentration, and public contact; Special Requirements-Some assignments may require working weekends, nights, and/or occasional overtime; Environmental-Occasional exposure to varied weather conditions. A. Meet the minimum qualifications of the class on or before the final filing date for filing applications. 1. Have permanent status in the Classified Service. 2. Probationary, part-time, or temporary employees who have worked a minimum of 1040 hours in the previous 12 months or previous calendar year. 3. Exempt employees who have worked a minimum of 2,080 continuous and consecutive hours. C. Have a rating of satisfactory or better on the last performance evaluation. D. If a person whose name is on a promotional list is separated (except for layoff) the name shall be removed from the promotional list of the action. Eligible Lists: Candidates who pass the examination will be placed on an eligible list for that classification. Eligible lists are effective for nine months, but may be extended by the Human Resources Director for a longer period which shall not exceed a total of three years for the date esblished. · The employment would result in one of them supervising the work of the other. Please be advised that Human Resources will only be accepting Online Application submittals for this recruitment. Paper application submittals will not be considered or accepted. When a final filing date is indicated, applications must be submitted online to the Human Resources Division before the submission deadline. Resumes and paper applications will not be accepted in lieu of an online application. (The County assumes no responsibility for online applications which are not received by the Human Resources Division).